On glorious fall days like today, Toulouse insists on being outside, but since we lost his brother last year, he desires constant companionship. He wanders the grounds wherever I’m working. Today I had done a load of laundry and was moving back toward the house, but Toulouse wouldn’t be satisfied with that. “Stay outside a little longer,” he said. “There won’t be many more days like this.” I checked the time and saw I had a few minutes to gather and toss a batch of leaves into the compost. When I was done, I looked up and saw Toulouse watching me from the tree house above. I have a strange way of gardening, which would surely drive most gardeners crazy. It turns out that, when you get to know them, a good number of weeds are edible, even wildly nutritious, if not downright medicinal. Hence, I don’t weed much. In fact, year after year, I get the best yield from the least interference with the ways the plants grow, whoever chooses to show up, whatever ways they are useful. Sometimes it takes a while for me to discover their properties. 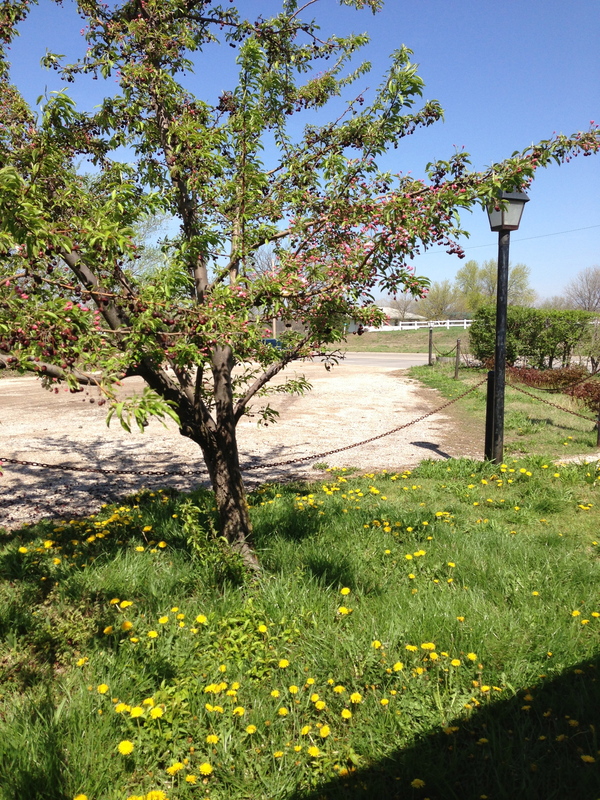 One annoying, invasive plant appeared one year, and I let it grow big so I could study it. I couldn’t find it in any of my books, and the leaves didn’t look appetizing. It’s a tall, kenspeckle thing that doesn’t look pretty anywhere. In the fall it turned reddish brown and produced a strong seed stalk, which would look nice in dried flower arrangements, so that’s something. But still, it could not be mistaken for anything but a weed, so finally I gave up and tried to pull it, which was impossible, so I started digging. I found an enormous tap root, which was a brilliant yellow inside. Now that got my attention. A root this big had to have some kind of power. I left some of the plants for next year. Eventually I happened to get in my hands a book on medicinal weeds, and I looked for this one in particular. It turned out to be yellow dock, also called curly dock, and other names, and it has dozens of purported uses. I harvested most of them, leaving some in what I hoped would be less-than-conspicuous places. I’ll tell you more about yellow dock later. Today’s post is really about dandelions. Normal people are supposed to get rid of them. Would you stay at a lodging with a lawn that looked like this one above? If a business owner is this inattentive to the first thing a potential customer sees, what on earth might be inside? A dripping faucet? A cricket in the bed? If a customer pulls into the driveway and turns around and leaves, I can’t blame her. She doesn’t know that I loathe herbicide, that I’m no stranger to a dandelion digger, but that I’m very intentionally saving these dandelions, and not just for the honeybees. Last year I read about dandelion syrup, also called mayhoney, though honey isn’t necessarily part of it. It is a European tradition (naturally, since that is where dandelions are from, after all). Dandelion syrup can be used as a sweetener, like other syrups and honey, and it can also be used medicinally as in cough syrup. 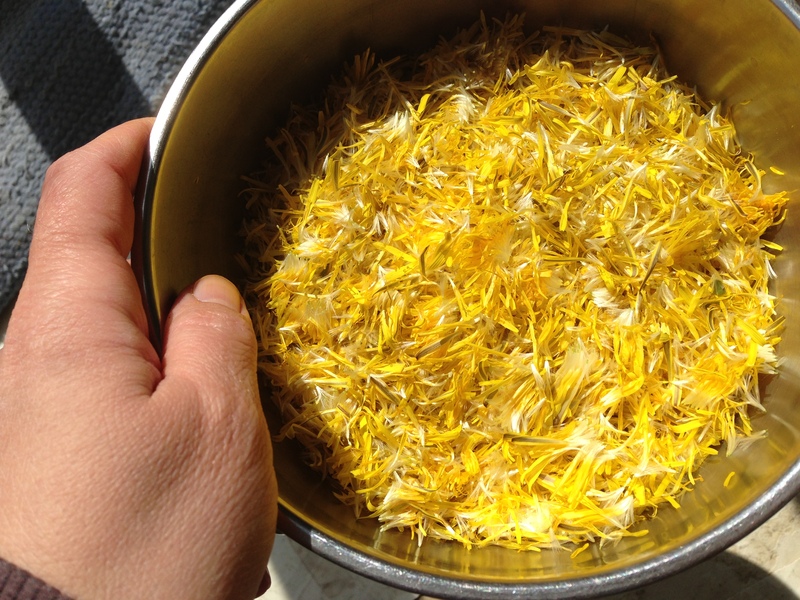 But most of the recipes I read called for about a quart of dandelion petals, no green parts. The smallest recipe I could find required four cups of petals. That seemed like an awful lot of dandelions. I didn’t think I had enough, but I kept thinking about dandelion syrup all year, and never got around to doing anything about all those weeds. They’re one of Kiran’s favorite flowers, after all. Well, not surprisingly, there are more of them this year, and that time has come around again. 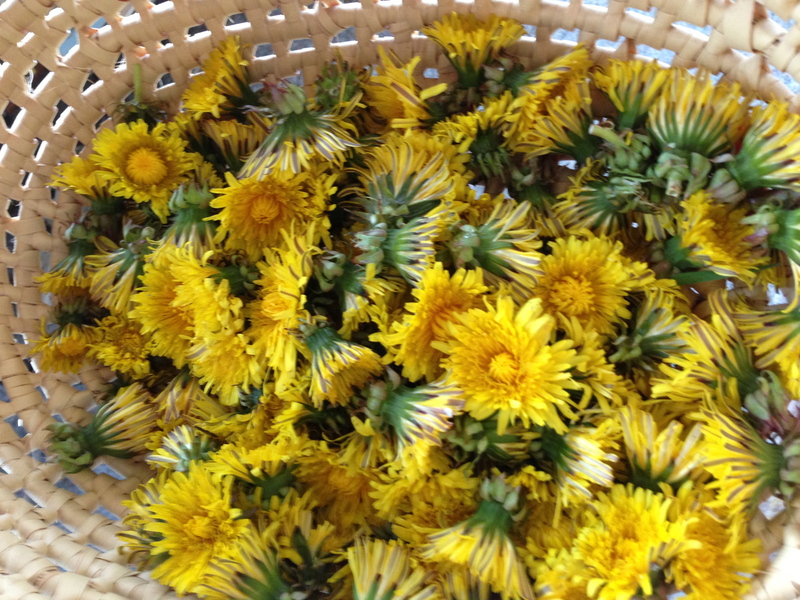 I hunted up a recipe for dandelion syrup today, and found one that could take as few as one hundred blossoms. Now, that would be easy. The kids and I gathered roughly 150 in a few minutes. Then I had to separate out the petals. Kiran loved caressing them. Our 150 blossoms yielded three and a half cups of petals, enough to double the recipe. The petals simmer and infuse overnight. They told me they wanted to be in the sun, so I’m putting them in a sun tea jar outside. Tomorrow I’ll strain, add sugar and lemon, and cook it all down to a syrup. Next time you pull up to a motel, and you see what looks like an unkempt property, think of all those weeds as raw materials, medicines, and foods. It’s hard to partake of them and control them as well. That picture at the top of the page? I took it after we had harvested the 150 blossoms from that very spot. I couldn’t even see a difference. Kevin intends to mow them today, but of course we all know the bees will get their fill from the new blooms that pop open tomorrow. And isn’t that exactly how it should be? Ah, late winter. So many fail to appreciate its virtues. The skies are dreary, we are all weary of the heavy clothes we will shed with abandon in a few months. Spring seems yet far away. But remember: the days are getting longer. The eye apprehends just so much more vital light each day, even through the clouds. The trees and perennials are itching to explode with green vitality, and, if anything, everyone is worried that they’ll do so prematurely. 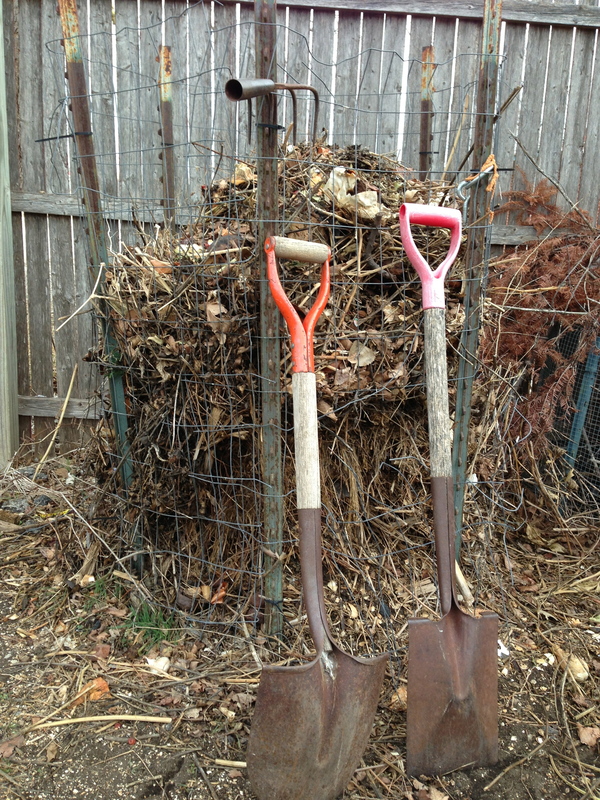 What calls to a gardener in February? Why compost, of course. 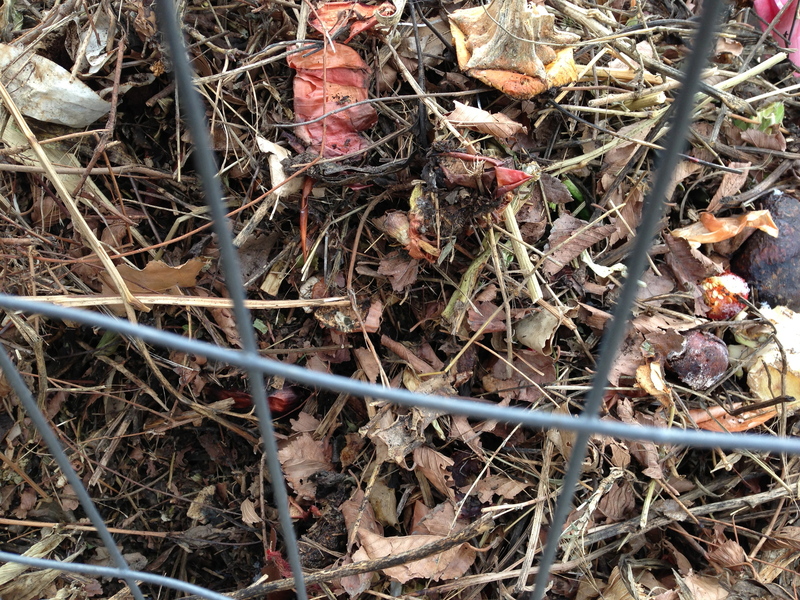 There hasn’t been a day this winter cold enough to hamper the fecundity of rot. Winter is not the time of death, but of slowing down, of sleep, of the occult. No life is visible on the surface, but within, there is activity; through living processes, molecules are rearranged into nutrients, preparation for the vernal explosion to come. For weeks, Rachel has been struggling to update the theme of our blog. We won’t bore you with technical details or accounts of our difficulties. 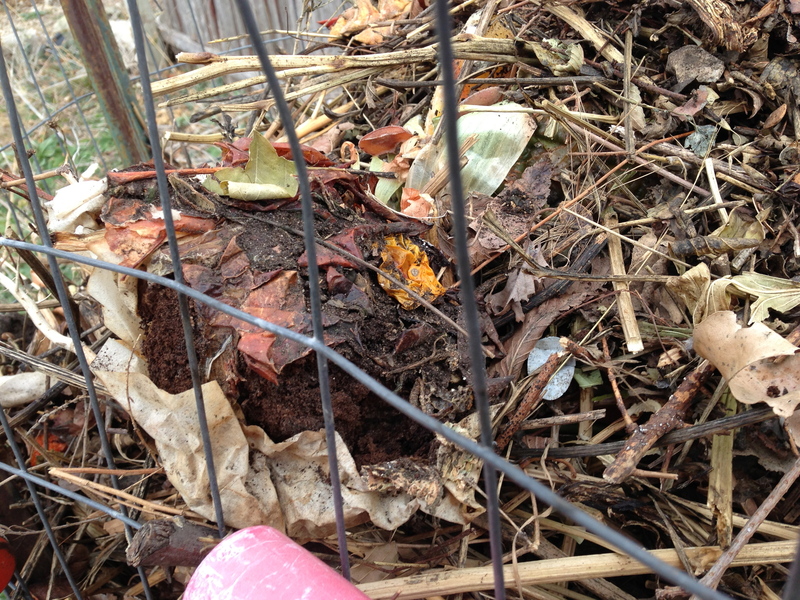 We’ll just show you some photos of compost, the magical crucible where the outdated and that which cannot sustain life are transformed into the matrix of new life. Happy late winter, dear friends.